The final episode of the year brings with it a little something extra special! 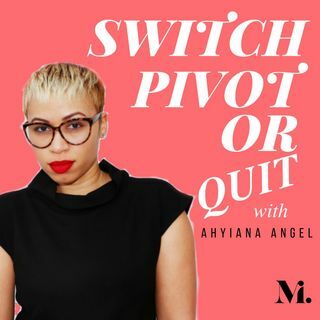 On this episode host Ahyiana Angel brings you a bit more into her world as she invites the listeners into a candid conversation with her girls, her college friends also known as the Fab 5 + 1. Having known each other for more than 15 years in most cases, these ladies represent friendship at it’s best, sisterhood, and support through life when there is no road map. Listen in on this free flowing kitchen table ... Maggiori informazioni conversation as the friends dish on learning life lessons from the early years, why you should not stay at one company too long in the current climate and so much more.